At the very least, the discovery of organics seemed to confirm one thing; at one time Mars had some of the basic, primordial ingredients for life. The basic chemistry that made life on Earth possible existed on another planet within our own solar system. There were also recently discovered methane bursts on Mars, which could be attributed to geology rather than biology (Martian farts or Martian vulcanism? ), though it makes for another interesting piece to the puzzle of the planet Mars. It’s a puzzle I’ve been observing from the sidelines most of my life. Since the age of 9, in the summer of 1976, I’ve been a Mars junkie. That was the summer when NASA’s two Viking orbiter spacecraft arrived at Mars and successfully planted two landers on the surface at Chryse Planitia (Viking 1) and Utopia Planitia (Viking 2). I remember seeing the first color photos beamed from Mars and thinking that the surface of this alien planet reminded me of any number of deserts right here on Planet Earth; including a few that weren’t terribly far from where I lived at the time. Those first images changed my entire perception of Mars. Until Viking’s photographs, I’d always seen Mars as a mythical place largely reserved for science fiction movies (“War of the Worlds,” “Planet of Blood” “Robinson Crusoe on Mars”) as well as TV shows, like “The Twilight Zone” (“Will the Real Martian Please Stand Up?” “People Are Alike All Over”) or “The Outer Limits” (specifically an episode called “The Invisible Enemy,” directed by “Robinson Crusoe on Mars”/“War of the Worlds” director Byron Haskin). ^ Cmdr. Christopher “Kit” Draper (the late Paul Mantee) salvages supplies for survival after his emergency landing on the red planet in “Robinson Crusoe on Mars” (1964); a hugely influential movie for me as a kid. Saw it on late night television when I was about 9 years old. Even though I could see Mars from my own backyard as a tiny red dot in the night sky, it didn’t become real for me until I’d seen those first Viking lander photographs. Mars’ rock-strewn terrain and oddly peach-hued sky were familiar, yet alien enough to excite my imagination. This cold, arid desert so far away was a real place now. A few years later, Carl Sagan’s COSMOS debuted on PBS and my family and I watched each of the 13 episodes with rapt attention (a rare thing it was for my entire family to like the same program). COSMOS was science made pop-friendly (and lushly illustrated) but never condescending or ‘dumbed down.’ The show’s educational-but-entertaining formula was a delicate balancing act that only the late Carl Sagan seemed able to accomplish in those days, with his patience and gentle wisdom. Other science documentary series of that era tended to be mere dry recitations of facts. But COSMOS changed all of that. Sagan told the stories behind the science; the men and women who made it possible. COSMOS profiled stories of people like “crackpot” rocket scientist Robert Goddard (the grandfather of American rocket science), persecuted astronomer Johannes Kepler (who revolutionized orbital mechanics), middle-school educated astronomer Milton Humason (who revolutionized spectroscopic astronomy). COSMOS not only conveyed humbling discoveries of our universe, but it also gave human faces to the discoverers themselves. One of my favorite episodes of the COSMOS series (and chapters of Sagan’s book) was “Blues For a Red Planet”, which chronicled Sagan’s own fascination with Mars. I especially enjoyed when Sagan related his own boyhood fantasy of stretching his arms out to the night sky, trying to ‘will’ himself to Mars (ala “John Carter of Mars”). It was comforting to know that this philosophical, intelligent man whom I greatly admired was also a science fiction geek. I could almost hear Todd Browning’s “Freaks” chanting, “One of us! One of us! One of us!” While Sagan went on to become an accomplished scientist, I remained just a science-fiction geek. Yet I’ve always held (and still hold) a fascination for the planets. I was in my 20s when I joined Sagan’s The Planetary Society, and I’ve been a proud member ever since. 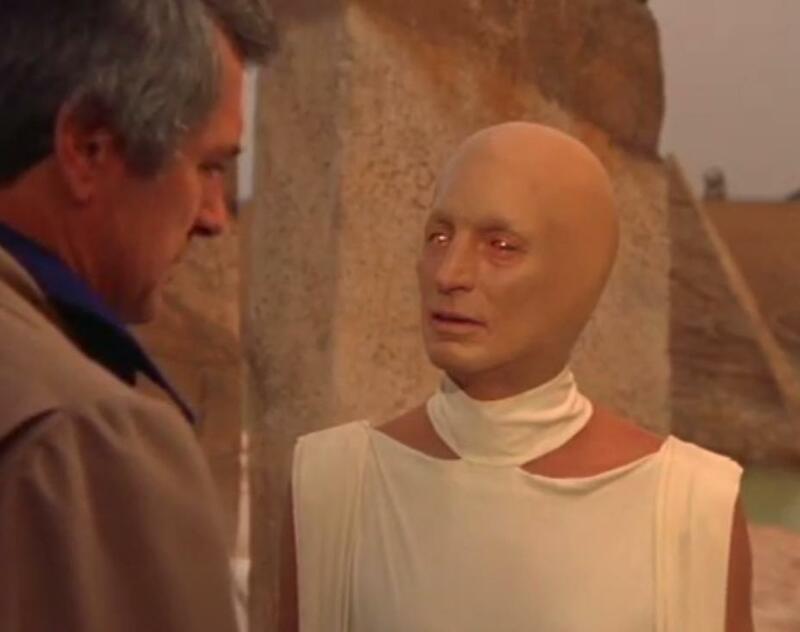 That same year of 1980 also saw an NBC miniseries adaptation of my then-favorite (and still-favorite) book, “The Martian Chronicles”, starring Rock Hudson, Darren McGavin and Bernie Casey. It was a valiant effort (especially for network television in those days) to capture the lyrical, mythical language and feel of the book, with a script by another favorite author of mine, Richard Matheson (“Hell House,” “Duel”, “Stir of Echoes”, “The Shrinking Man”). The NBC version of “The Martian Chronicles” may not have been entirely successful, but it still had a few shining moments. One issue I had with the miniseries was the attempt to weld all of the separate chapters of the anthology into a single, clumsy narrative using Rock Hudson’s ‘Colonel Wilder’ character. It doesn’t always work, as Hudson’s Wilder is simply not that interesting a character to follow. The parts of this miniseries are definitely better than the whole. But it’s in little moments that it truly connects with the poetry of Bradbury’s book. For those moments, it is more or less worthwhile. 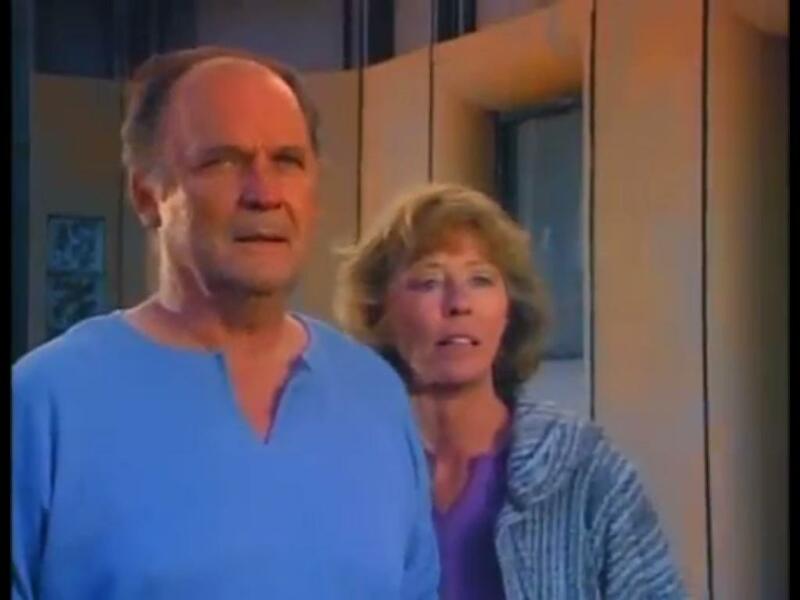 John Vernon and Sheila Moore star in an adaptation of Bradbury’s “The Martian” for Showtime’s Ray Bradbury Theatre. Some of the stories from the book were adapted a few years later (arguably more successfully) for the Showtime TV series, “Ray Bradbury Theatre” (1985-1992). This series, if you can find it online or on DVD, is indispensable viewing for fellow Bradbury geeks like myself. I cherish my box set collection of “Ray Bradbury Theatre”, as I didn’t have Showtime or premium cable during its original run. After adolescence, real life came a calling. 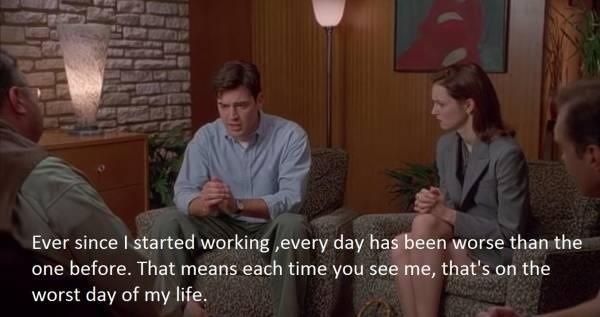 I soon got stuck in a dull, passionless job that I clung to to pay the bills. Through the drudgery of paying rent and pretending to give an honest damn about my job, I’d always held onto my passion for space, especially for the planet Mars. I can’t imagine how many portions of paychecks were quietly blown on the latest glossy new space book or magazines. Hey, I didn’t gamble, do drugs, smoke or drink to excess, so I had to have some vices, right? There were other planets and space missions (particularly the Voyager missions) that had deeply fascinated me over the years, but Mars was always first and foremost in my imagination. Of the four terrestrial planets, Mars seemed a very promising prospect for future manned missions or even human colonies. It wasn’t a hellish hot-house like Venus, which had an 850 f/455c average surface temperature, and crushing atmospheric pressures at over 90 times earth pressure at sea level. Nor was Mars a barren, scorched, moonlike rock like Mercury. Mars has a very thin atmosphere (less than a tenth of earth’s sea level, about 6-7 millibars), yet it still has weather. It also had water ice, both covering its northern pole (just like Earth) and beneath the surface at high latitudes. Yes, the white stuff on the surface of Mars at Utopia Planitia is actual carbon-dioxide frost (!). None of the other terrestrial planets (besides Earth) had wispy cirrus clouds, winter frosts, and a surface temperature ranging anywhere from -67 f/ -55c to highs up to 68 f/20c. The hottest days on Mars were comparable to a breezy day by the beach in California, while its coldest days were colder than the most bitter winters in Siberia. It was an extreme temperature scale, yes, but it was not too unlike global temperature extremes here on our own planet. Mars even had two captured asteroids, Phobos and Deimos, which functioned as a pair of de facto moons. In those days, I could almost imagine a oceanic shoreline just beyond those rocky dunes. I know it’s not rational, but dreams rarely are. As I got older, it became very clear that Martian oceans weren’t forthcoming (not these days, anyway; though perhaps in the ancient past). Equally impossible were shirtsleeve human EVAs outside of the spacecraft, which were a staple of early science fiction TV shows that I grew up on (check out the aforementioned “Outer Limits” or “Robinson Crusoe On Mars”). While human missions hit a few major setbacks (radiation tolerance, longterm flight endurance, resources, etc), my fascination for Mars wasn’t dimming. If anything, it grew. I was still fascinated by this now challenging neighboring world of ours. While I understood intellectually that the Mars of my childhood was essentially dead, this new Mars I was discovering at the time was just as interesting. I remember picking up a copy of Robert Zubrin’s book “The Case For Mars,” (1996) during one of my routine hunting/gathering missions to my local bookstore (bookstores are my favorite hangout to this day). Zubrin’s book discussed a lot of new possibilities for manned Mars missions, such as manufacturing fuel and oxygen for a manned expedition using in situ resources (such as native carbon dioxide) mined directly from Mars itself. His outline for a practical, relatively affordable Mars mission (called “Mars Direct”) seemed very doable, as were his equally pragmatic ideas for subsurface, naturally UV-shielded Martian colonies. It’s a great read, and a real shot in the arm for fellow Mars enthusiasts. 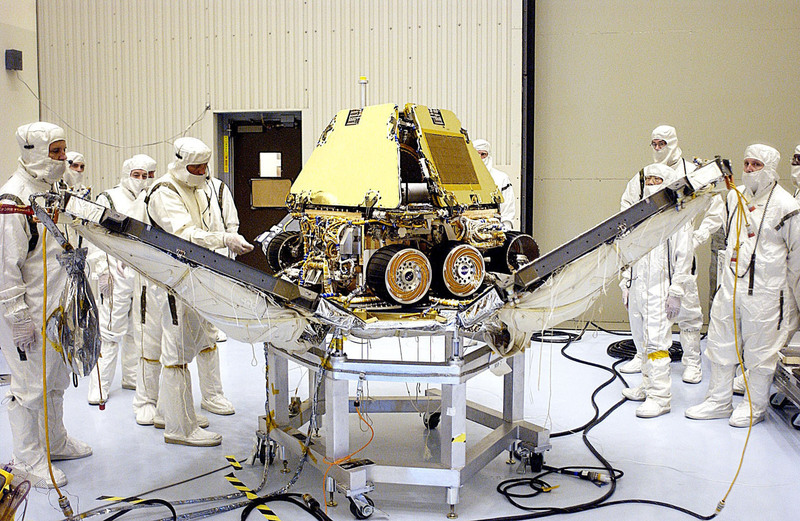 In 1997, Pathfinder became the first spacecraft in 21 years to successfully land on Mars. The Pathfinder lander brought along a ‘little friend’; the Sojourner rover. Sojourner, named for the 19th century abolitionist/women’s suffrage activist Sojourner Truth, was only 2 ft. long and a foot high (.6 meters long, .3 meters high) but the spunky, proof-of-concept rover outlasted its predicted 30 day lifetime. While not quite as game changing as Viking, it was a promising beginning for solar-powered rover technology on the red planet. I remember having to work on the holiday of the landing (4th of July) but as soon as my tired self walked through the door of my apartment, I ignored the rest of the 4th of July holiday and watched hours of timer-set VHS footage of the landing I’d taped off of NASA TV while at work. I heard the fireworks outside, and I truly didn’t care. I was glued to my TV, watching the first new color images from Mars in 21 years (!). To hell with barbecues and fireworks; this was the best 4th of July possible for a lifelong Mars geek. 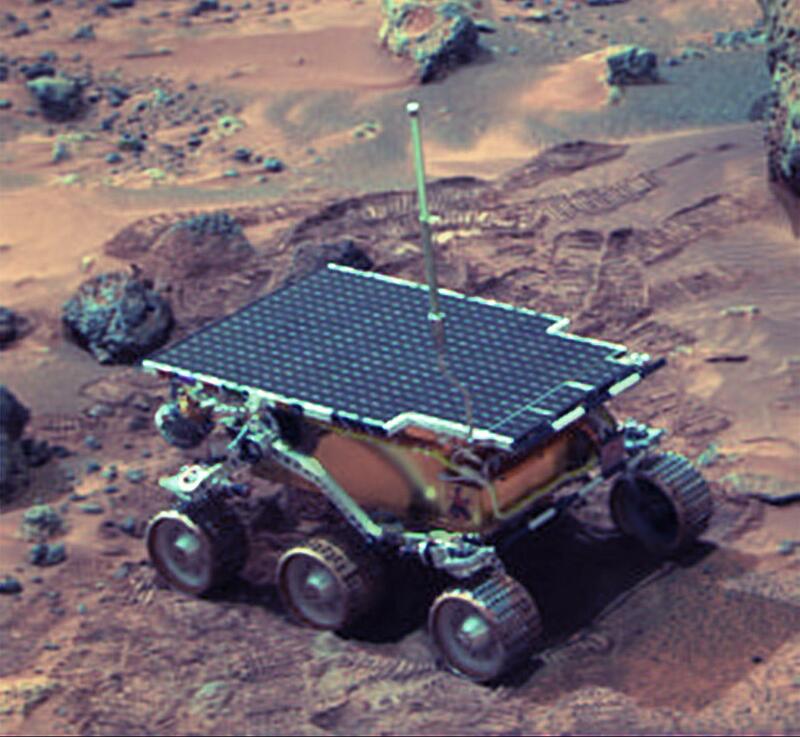 Contact with the Sojourner rover (and the Pathfinder lander) was lost on Sept. 26th, 1997. A personal tour of Martian Mecca. My life changed considerably by the time the Spirit and Opportunity rovers were getting ready for their launches to Mars. I was married now, and my wife had a cousin who was (and still is) a veteran engineer at JPL (Jet Propulsion Laboratory) at Caltech in Pasadena. Her cousin learned of my obsession with the planet Mars from various family get togethers (no doubt when I ceaselessly pestered him about his work). ^ This is a stock photo of Spirit being prepared for launch. While we didn’t actually see the rovers exposed (they were inside their landing petals when we saw them), it was still an amazing sight to see the two rovers off before they headed for Mars. So, my wife’s cousin gave me the ultimate birthday present in December of 2002 by taking my wife and I (as well as my sister) on a personal tour of JPL (Jet Propulsion Laboratory) at Caltech. It was on this tour that we got to see the famous ‘clean room’ (a sterilized lab used for preparing interplanetary spacecraft) where the Spirit and Opportunity rovers were cocooned inside of their landing petals while undergoing final testing for launch. For safety’s (and sterility’s) sake, we watched from the overhead observation booth above the clean room. These two rovers were to be shipped to Florida and launched to Mars very soon. Um, I just need to say… wow! This was a HUGE deal for me. It was a bit like watching Neil Armstrong and Buzz Aldrin rehearsing for their first steps on the moon. During the tour, we also saw a full-sized engineering test rover being used in JPL’s “Mars Room”, where it was slowly slugging it out on a simulated Martian surface. The test rover was hooked up to an electrical umbilical line, as the rover’s solar panels were folded upward. Pretty cool stuff! The last leg of the tour ended at the JPL museum, where we saw full-size mockups of past interplanetary spacecraft; some were set against dioramas of their destinations. I was also amazed to see that the Galileo spacecraft was nearly two stories high (!). Needless to say, this was one of my most memorable birthdays ever. To my wife’s kindly cousin? I thank you to this day. You are, and always will be my hero! Planetfest 2004… a night to remember. A year and change later, on a chilly night (for California) in January of 2004, I took advantage of my Planetary Society membership and attended the “Planetfest” event scheduled for landing of the 1st of 2 MERs (Mars Exploration Rovers). 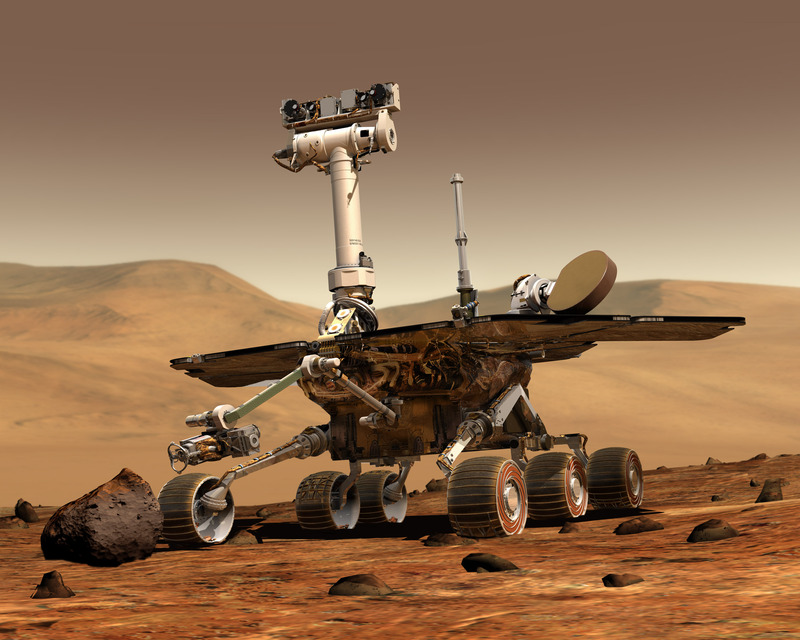 That first rover would be “Spirit.” “Opportunity” would be landing near the end of the month. The event, called “Wild About Mars” (in honor of the Stardust probe’s simultaneous flyby of comet Wild-2) took place at the old Pasadena Convention Center, not far from Mission Control Center at Caltech’s Jet Propulsion Laboratory. The night was a double celebration, as the STARDUST mission flew by Comet Wild 2 that same week. Also of personal interest to me was the chance to meet my longtime idol, author Ray Bradbury. 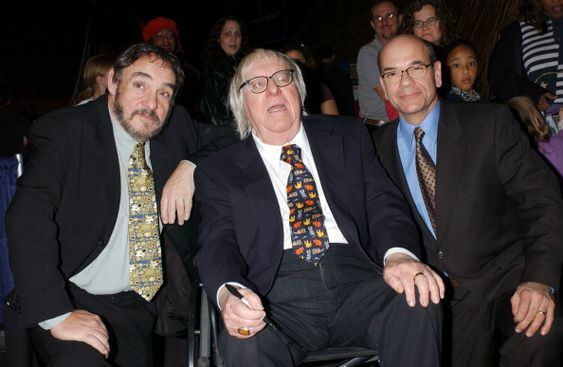 John Rhys-Davies, Ray Bradbury and Robert Picardo; I wish this was my photo, but my own photos of the event weren’t quite this good, I’m afraid. That night I also got to meet ’Science Guy’ Bill Nye (now CEO of The Planetary Society), actor Robert Picardo (the Doctor on “Star Trek Voyager” and longtime advocate for “The Planetary Society), as well as a very affable John Rhys-Davies (“Lord of the Rings” trilogy, “Indiana Jones”); Davies was one of the kindest actors I’ve ever met. He and I got to talk for a few minutes about his career (specifically, his work on the Indiana Jones movies), and he was just delightful. 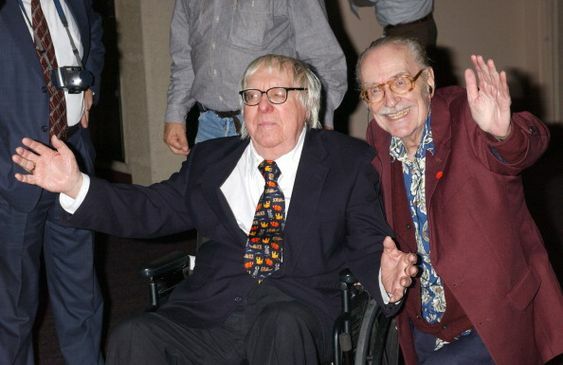 Childhood idols: Ray Bradbury and Forrest Ackerman. I took a photo very close to this one; in fact, I was standing not too far from where Ackerman is in the photo. Meeting Ray Bradbury a few minutes later was, for me, about as thrilling as the landing of Spirit rover itself. I’m pretty sure I was a starstruck mess. I blurted out a stupid, fanboyish-something about how my lifelong love affair with his books (his “Fahrenheit 451” is another favorite of mine; a book lover’s nightmare). Bradbury smiled, thanked me (he thanked me), autographed my copy of “From the Dust Returned,” and we had a nice handshake. To this day, I’m still amazed that I didn’t just faint dead away right there on the spot. I also met a familiar-looking older man standing next to Bradbury’s wheelchair; that man turned out to be Forrest Ackerman, one of Bradbury’s best friends as well as the former editor of “Famous Monsters of Filmland” (my very first magazine subscription). 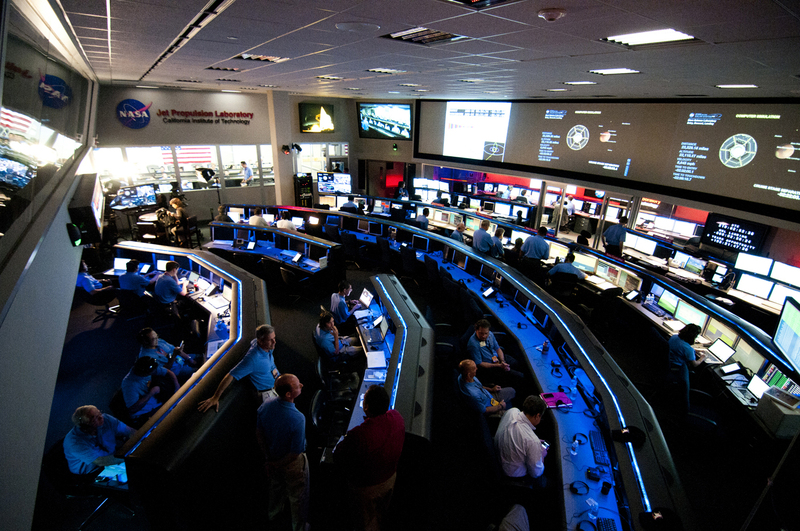 The time of Spirit’s landing approached, and we all hurriedly went back to our seats as video from JPL/Caltech’s mission control room came beaming into the Pasadena Convention Center auditorium. There was a technical glitch with communications, and telemetry from the landing was briefly misdirected. Eventually around 8:20 pm or so, we head the confirmation that Spirit had landed on Mars. Cheers broke out everywhere at the convention center. It was probably the closest thing I’ve experienced in my lifetime to an Apollo lunar landing party (I was only a toddler at the time of the Apollo 11 landing). 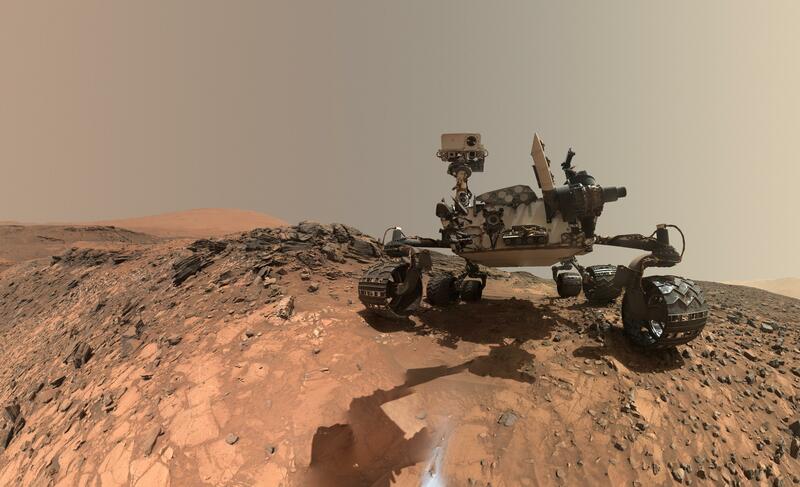 For a science fiction fan and real-life Mars geek? It was, forgive the cliche, a magical evening. I’m still can’t quite remember if I drove or floated home that night. The next day I returned with my wife (it was a two-day event), so that she could meet John Rhys-Davies (she’s a huge “Lord of the Rings” fan). We managed to catch him outside the auditorium, and he graciously signed her first DVD of the movie. He also took a selfie of the three of us (sadly, I don’t seem to have a digital file of that pic to share, or my pics of Bradbury…only physical copies). 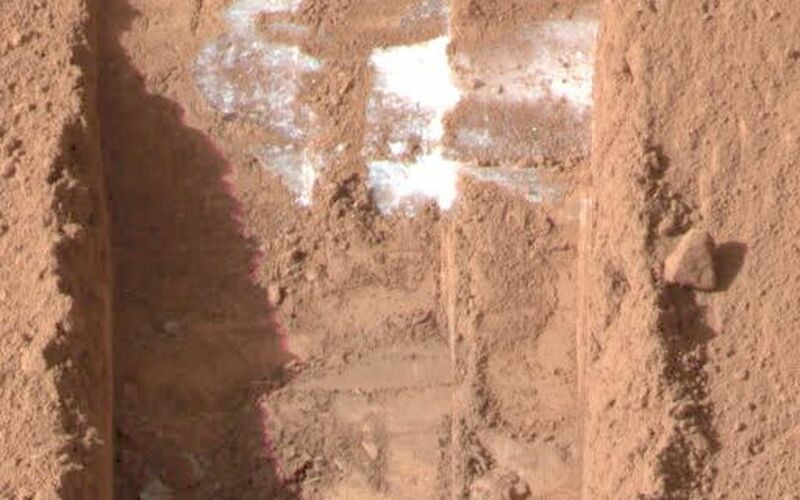 ^ Yes, that white stuff is actual water ice on Mars (!). In 2008, my wife and I attended the Pasadena Planetfest 2008 event which coincided with the landing of Phoenix Mars Polar Lander. 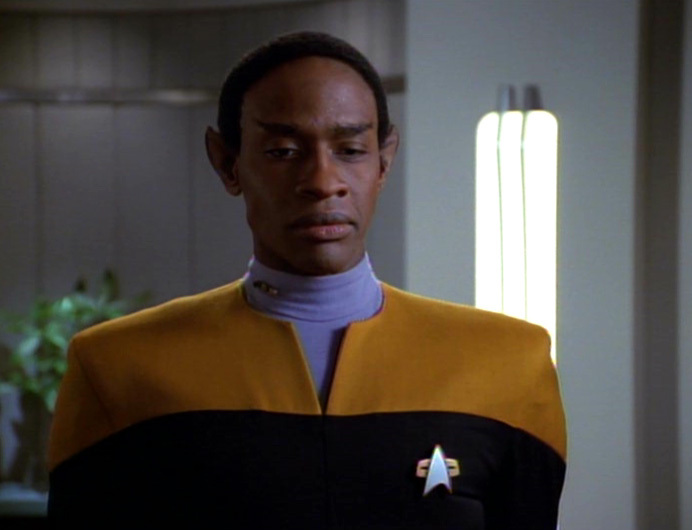 Actor Tim Russ (“Tuvok” on Star Trek Voyager) did a reading from “The Martian Chronicles.” Sadly, Ray Bradbury wasn’t feeling well that weekend and couldn’t attend, but he did phone in a message to the assembled guests. Phoenix discovered the first direct photographic proof of water-ice on the Martian surface. In a bit of freak luck, retrorockets from the lander itself blew off a thin layer of dirt, exposing ice directly below the lander itself. Water ice! On the surface. 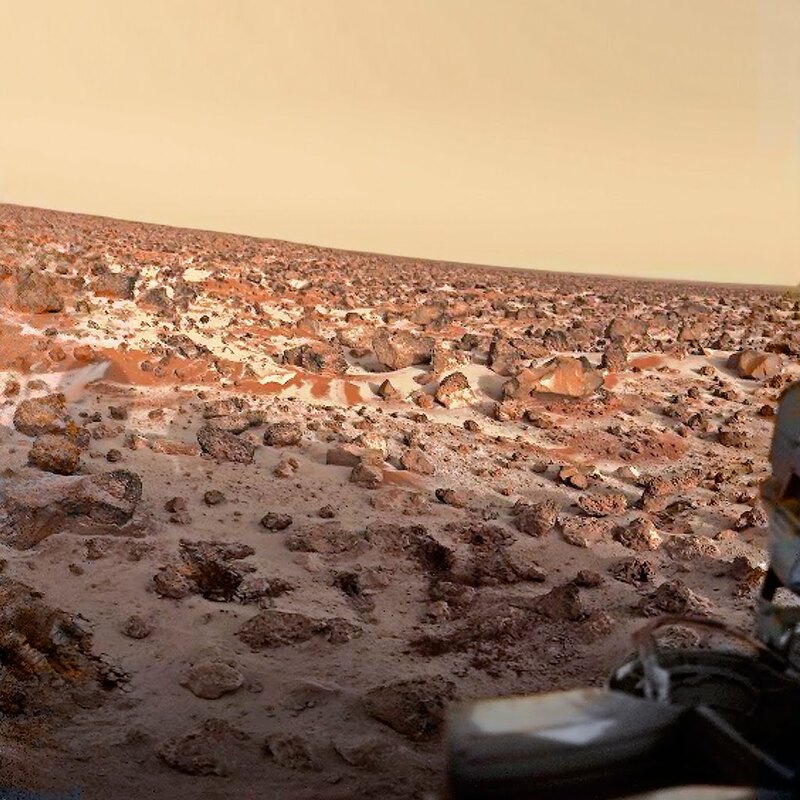 Maybe my youthful vision of a shoreline on Mars wasn’t so crazy after all? Mars was getting a lot more interesting all of the time. Four years later in August of 2012, there was another weekend Planetfest Event in Pasadena, this time for a bigger, nuclear-powered ‘Mars SUV’ known as “Curiosity” (it was roughly the size of a large car). I took my wife for the first day of the two-day event. By this time, I was actually keeping digital files of these events on my computer now, as well as organizing them onto online Flickr albums, like this: Planetfest 2012: Curiosity lands on Mars. 2012’s Planetfest was a very memorable one. I met many heroes of mine, including Mars Society founder, engineer and author Bob Zubrin of the aforementioned “The Case For Mars” (finally got my copy autographed), Rick Sternbach (noted space artist, illustrator/conceptualist for the various Star Trek movies and TV series), and author Andrew Chaikin, whose book “Man on the Moon” was the basis of the 1998 HBO series, “From the Earth to the Moon” (got my copy of that book autographed as well). There was also a lovely tribute to the late Dr. Sally Ride, given my Lori Garver, the former deputy administrator of NASA. I also enjoyed the many fascinating panels and demonstrations from Planetary Society CEO, author/TV personality Bill Nye, actor Robert Picardo, and a group of talented space artists. Outside of the convention center, there was a SpaceX Dragon capsule prototype (the manned version). It was pretty breathtaking! Former NASA administrator and shuttle astronaut Charles Bolden, along with former JPL administrator Dr. Charles Elachi, made unscheduled appearances at the event as well. Speaking of unscheduled appearances, the late Carl Sagan’s widow, Ann Druyan, also made an appearance on the 2nd day along with her own surprise guest (and current “The Orville” star/creator/producer) Seth McFarlane, announcing the production of a COSMOS reboot, starring Neil deGrasse Tyson (I think I nearly fainted in my seat hearing that). Needless to say, I very much enjoyed the new take on the series when it debuted two years later. The new COSMOS both honored and expanded the vision behind the original Carl Sagan classic. My wife and I had just met Tyson a month earlier, during San Diego Comic Con 2012 at our hotel’s restaurant. I was a huge fan of his well before he was a household name, and he was very kind to my wife and I. It was a lovely encounter, even though I’d been walking in high humidity all day and looked like complete and total hell when he took a pic with us. I also blinked during the pic… of course, right? Despite how horrible I looked (and felt) that day, Tyson was terrific. He even walked by our table once again as he was leaving just to say goodbye to us. I’ll never forget that day. My wife and I would also attend An Evening With Neil deGrasse Tyson at Pasadena, in January of 2016. Andy Weir and myself (in my Fred Flintstone cosplay) in San Diego, July 2015. More recently, my personal Martian chronicles took a turn back towards the fictional variety again when I picked up a copy of Andy Weir’s “The Martian” in June of 2015 and read it voraciously over a few days. I consciously stopped reading around the last 40 pages because I wanted to finish the book right before I had the chance to meet its author at 2016’s San Diego Comic Con. I was now a huge fan of Weir’s book; it was, literally, the Mars adventure story I’d been waiting for all of my life. No godlike aliens, no fantasy technologies or other exotic physics (save for the author’s own admittedly implausible mega Martian sandstorm at the beginning of the novel). Weir largely employed only real-world technologies and cut very few corners in his science. I also got a kick out of astronaut Mark Watney resurrecting the long-dormant Mars Pathfinder mission in his quest for survival. The book was in instant favorite of mine, and Weir signed my copy after the panel, and we also posed for a pic (he got a kick out of my Fred Flintstone costume, and even pointed it out during his panel since I was in the front row). That October of 2016, the Ridley Scott-directed film adaptation of the book came out (starring Matt Damon), and it was pretty much everything I’d hoped it would be; a surprisingly faithful adaptation of the book that perfectly realized most of my mind’s eye vision for the story, and greatly surpassed it at times (the Hermes mothership was a lot bigger than I’d imagined, but the characters were more or less spot on). I met Weir again at the San Diego Comic Cons of 2016 and 2017. In 2016, I was wearing my “Los Pollos Hermanos” cosplay from “Breaking Bad” (one of my favorite TV shows). Weir got the cosplay right away (another Breaking Bad fan!). Andy Weir is every bit as witty and sardonic as I’d hoped. Make no mistake; astronaut Mark Watney is Andy Weir, save for Weir’s not being an astronaut or a botanist. The character’s gallows humor and attitude is channeled straight from the author. Me, in my “Breaking Bad” Los Pollos Hermanos costume, meeting Andy Weir (the 2nd time) at Comic Con. He is every bit as witty and irreverent as his “Martian” protagonist Mark Watney. In 2017, I met Weir once again in an autograph queue, and got my (FREE) autographed copy of his latest book, “Artemis” (2017). “Artemis” is about a jack-of-all-trades smuggler named Jasmine “Jazz” Bashara, who lives and works on a lunar city in the late 21st century. She gets in way over her head when she agrees to perform an act of industrial sabotage with a trio of automated lunar ‘harvester’ units. The story later involves Jazz in an “Ocean’s Eleven”-style caper. “Artemis” is a story as different from “The Martian” as you can imagine, save for its taking place on another world and featuring an exceptionally witty and resourceful protagonist. I have both my autographed hard copy and the Audibles audiobook, read to perfection by Rosario Dawson (“Clerks 2”). I highly recommend “Artemis.” Though it has nothing to do with Mars, it’s a brilliant real science-laden caper story, with a very memorable cadre of characters (I love the nerdy engineer Svobo!). 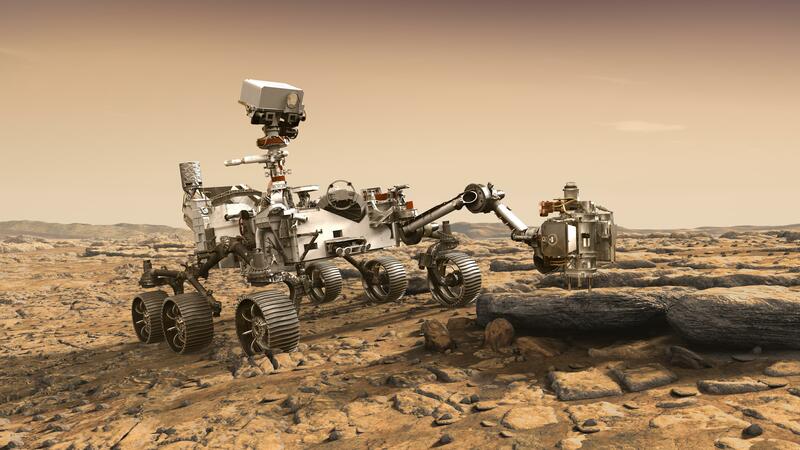 With the recent launch of the NASA’s Mars Insight Mission this past April, a new rover set for planetfall in 2020 (Mars Rover 2020), a very close approach of Earth to Mars in late July of this year (35.5 million miles/57.1 million km) and the recent discovery of organic material on the surface, my intense fascination for this arid, cold desert planet shows no signs of ebbing anytime soon. If anything, it grows stronger all the time. New bits of Mars data always fascinate me. I’ve had many dreams where I’m walking along in Mars’ one-sixth gravity (my arthritic joints love it), or gazing at a blue Martian sunset through a window or pressurized suit of some kind (I used to ride motorcycles, so I’m no stranger to the concept of wearing a helmet). And I once had a dream where I was swimming in a shallow, artificial Martian ‘lake’ built under a dome of breathable atmosphere. The dome was situated atop a vast, sprawling subterranean Martian colony below. I still recall this dream very clearly, even as I sometimes forget which day of the week I’m in (!). Mars had, and still has, an iron grip on my imagination… appropriate for a planet covered in iron oxides (good ol’ rust). Whether I personally live to see humans plant boots on Mars isn’t so important to me anymore as living the adventure in my imagination. Though I’ll never see Mars in person, I’m still looking very forward to continuing my own personal, vicarious Martian chronicles in the years to come.